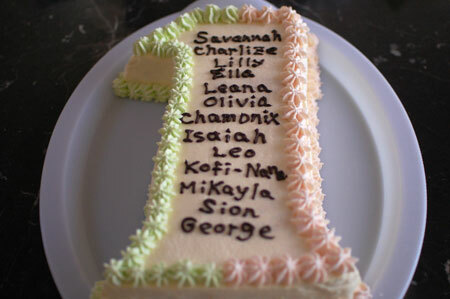 This is a birthday cake for 13 babies who is turning 1-year-old this month. 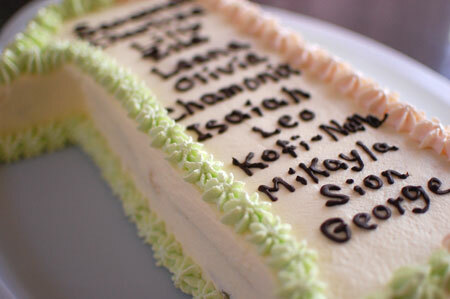 Haha, I was bit nervous about writing 13 names on top of the cake – what if the 13th name can’t fit in the space? What if I make a mistake on the spell? …. 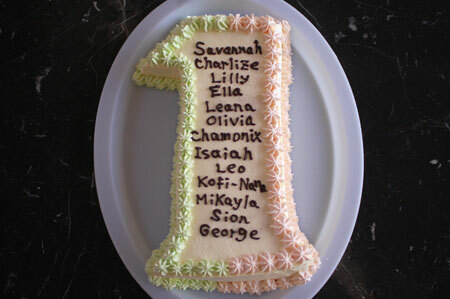 I only had one chance to do it, and I’m so glad that all the names fit perfectly! 2 different colours on right and left for boys and girls as requested. The cake with filled with fresh fruits and whipped cream.